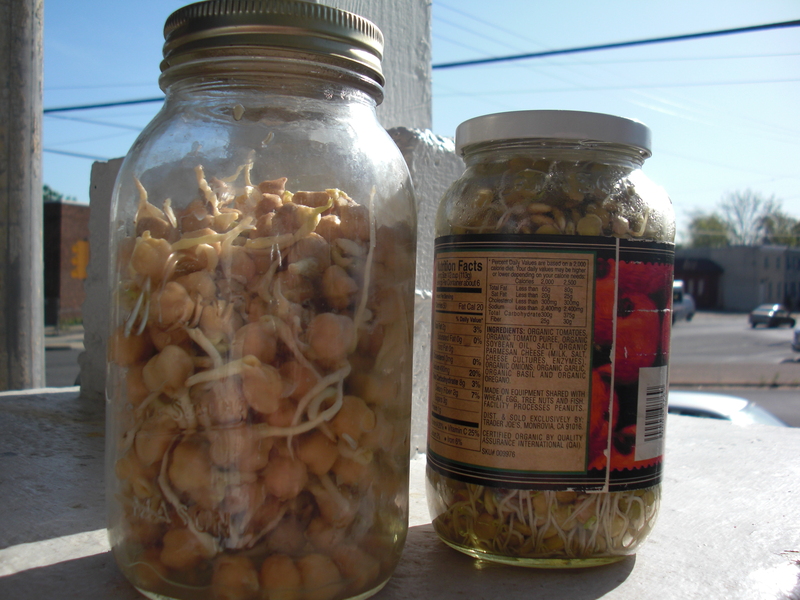 The beans will “grow” as they sprout, so make sure to leave extra jar room. I like punch holes in a few jar lids with a hammer and nails so I have a permanent straining solution! Enjoy on salad, in curries, as spreads, in pasta – however you usually eat beans!